This newsletter is aimed at creating awareness on a chosen health issue or medical condition. We wish to educate people on the condition and its prevention. 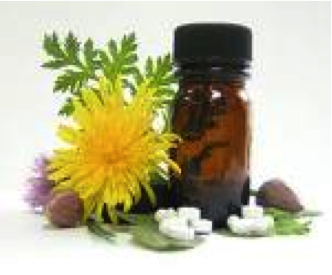 Also, how the different Systems of Medicine and Complementary Therapies help in treating the condition. This month we have focused on Stress which is relevant to all. Even if we cannot avoid it in our daily lives, we need to help ourselves cope with it better. 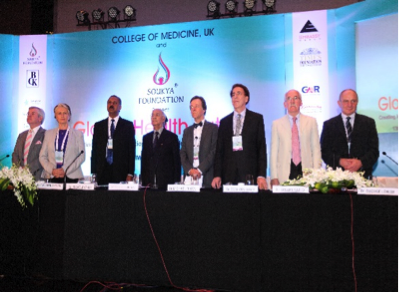 SOUKYA in collaboration with the College of Medicine, London, of which Prince Charles is a Patron, organised the International Conference on Global Health Futures in November 2013. This conference was a huge success and was attended by World Renowned speakers like Dr.Dean Ornish, Dr.Woodson Merrell, Dr.Graeme Catto, Dr.Michael Dixon, Nobel Laureate Archbishop Desmond Tutu and many more. Dr.Mathai recently was invited by the American Chamber of Commerce in the Slovak Republic to give a presentation on "How to Benefit from Modern Medicine and Self healing powers of the Individual". This was organised by Mr. Vazil Hudák, State Secretary of the Ministry of Finance of the Slovak Republic. He also met with the Deputy Prime Minister of Finance of the Slovak Republic, Mr.Peter Kazimir. SOUKYA Foundation has established Dr Mathai's Rural Holistic Medical Centre (DMRC) functions at a Government Primary Health Centre Campus at Jadigenahalli Grama Panchayat in Hoskote Taluk. The building is a donation from SOUKYA and is a fully functional Medical facility with a Laboratory at a cost of Rs 45Lakh. (USD75000) SOUKYA Foundation was awarded AYUSH Grama project by the Department of AYUSH, Government of Karnataka. Dr Mathai's Rural Holistic Medical Centre takes care of 8 villages with a population of more than 10000. Monsoon months from July to September is considered the best period to undergo Ayurvedic Rejuvenation treatments including the Panchakarma. The weather during these months is best suited to undergo the rejuvenation treatments which will help boost one's immunity, prevent the degeneration and ageing process in the body and achieve ultimate health. A minimum of 21 to 28 days stay is required. At SOUKYA special packages available for these months. Ayurveda aims at preventing disease and promoting health in healthy individuals and to cure the disease of the diseased. "Panchakarma" was devised by the ancestral healers, thousands of year's back, to ensure complete de-toxification of Human system and to balance the tri-doshas. According to Ayurveda, diseases arise as a result of the imbalance of the three doshas namely the Vata, Pitta and Kapha. Body, mind and soul are considered as the channels where toxins accumulate, leading to the imbalance. The toxic accumulation leading to derangement of the doshas could be from the digestive system, from external factors, stress and emotional factors. Panchakarma or the 5 purificatory procedures are designed to cleanse the different systems at different levels. Panchakarma programme is designed purely based on the mental and physical condition of the individual, the symptoms, nature of toxic accumulation, the age, the climatic condition, diseases if any etc. Body is prepared for the programme through treatments and internal medications aimed at mobilizing the toxins called the purva karma. In certain cases purva karma may also act as the main treatments for specific ailments. These include treatments such as internal oleation(snehapanam) and external treatments like sirodhara, abhyanga, PPS, Pizhichil, choornaswedam etc. With these treatments we try to attract the toxins from sakha( body tissues) to koshta( gastro-intestinal tract) to further enable its removal. From the GI tract, the toxins move towards the orifices for exit. 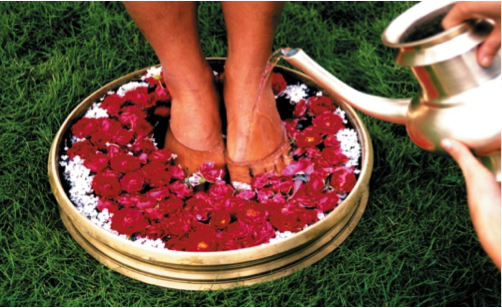 According to another school of thought, Raktamokshana or blood letting is one of the therapies. These are the main treatments for de-toxification, called Pradhana karma. The pradhana karma is followed by Pashchat karma to strengthen and rejuvenate the system. These include dietary restriction, rest, and pacifying treatments like dhoomapanam, kabalagraha etc. 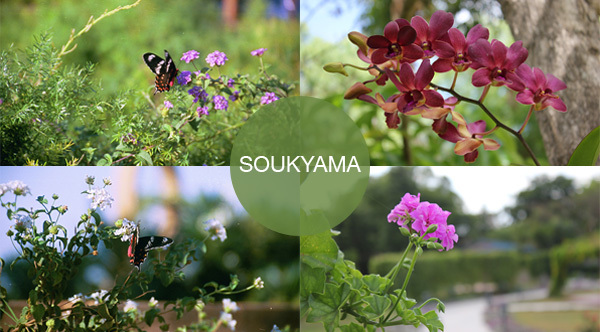 At SOUKYA, individual cases are studied and appropriate programme is formulated, incorporating pradhanakarma, based on their symptoms and body constitution. Diet according to the body constitution and symptoms is prescribed. The treatment programme and procedures are explained thoroughly to create awareness in the individual, since the person has to undergo hardships with certain treatments like snehapanam, vamanam, virechanam etc. The importance of mental and physical rest is explained and the individual is prepared mentally to undergo the process. The person is explained what to expect after the programme and the restrictions to follow. The panchakarma programme requires a stay for 21-28 days followed by period of rest. Undergoing Panchakarma programme ensures complete cleansing at cellular level and in the organs. It relieves the symptoms from the diseases if any. It rejuvenates the whole body. Mental faculties get sharper. Functioning of the organs and metabolism improve. Senses get sharpened, mind gets calmer and clear. It delays and reverses the process of ageing. Monsoon is the time when the atmospheric temperature dips suddenly after the hot summer months. This reflects in the body too. We could keep the body warm with this simple recipe. Soak 2 tablespoons of black sesame seeds for 3-4 hours. Add 2 tablespoons of grated jaggery( molasses), or jaggery syrup and grind it with water or diluted skim milk. Filter, and drink a glass of this juice either mid morning or mid after- noon. Sesame keeps the body warm and lubricates the joints. You get the added benefit of iron from the molasses too! Sit with the back straight and eyes closed, in any comfortable posture. Detach from the chain of thoughts; detach from the external sound. Slowly focus on the breaths. Follow the inhalations and exhalations. Observe the air passing in through the nostril, as you inhale and the air passing out through the nostrils with exhalation. Simply follow this without interfering with the pattern. 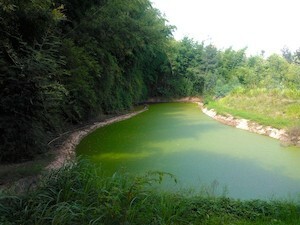 Gradually you will notice the breaths getting deeper, slower and rhythmic, filling you with calmness. Your mind is focussed fully on the breaths and there are no other thoughts in the mind. Enjoy this state of total calmness!!! Stress is defined as 'bodily or mental tension'. It may result from unpleasant events, like death or loss of a job or pleasant events like marriage or birth of a baby. The control we have over the stress in our lives is the key. For those who feel they are in control of their lives, the stress is minimal as compared to those who feel helpless often leading to depression. Whatever the source of stress, our behavioural and physiological responses to stress are essentially the same. As nowadays, stress is more psychological and as modern life has more demands, there is growing concern over long term health consequences of repeated stress and poor techniques of coping with it. Behavioural responses include disruption in eating behaviour – overeating or loss of appetite, consumption of high calorie low nutrient snacks, coffee, alcohol or mood-altering substances like nicotine. Physiologically, a variety of neural or biochemical reactions occur to help us cope better. The hypothalamus releases a hormone called CRF, which in turn triggers both sympathetic nervous system and pituitary gland responses. When you are under stress, your cerebral cortex sends commands though the hypothalamus and pituitary glands. The sympathetic nervous sytem stimulates the release of stress hormones - epinephrine (adrenaline) and norepinephrine (noradrenaline) from the core of the adrenal glands. This causes increased heart rate, blood pressure, blood sugar, rate and depth of breathing, muscle tension and reduced nutrient absorption. The pituitary gland releases ACTH (adrenocorticotrophic hormone) which stimulates the surface of the adrenal gland to release cortisol, increases the level and availability of glucose and reduces immunity, sleep, and affects the reproductive system and thyroid metabolism. Hot Stone Massage: This exotic massage is done with smooth lava stones heated to your desired temperature, after the application of ayurvedic body oil as per your body type. The heat, mineral content of the stones, the therapeutic effects of the ayurvedic oil and the benefits of massage all help relax the muscles and nerves, helps detoxify and relieves any tightness in the body caused by stress, putting you in a state of pure bliss. Ayurvedic Massage: A luxurious oil massage in which two therapists work simultaneously on either side of your body, releasing any tenseness in the body, and relieving the exertion, tiredness and weakness often felt from long-term stress. 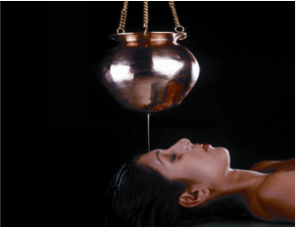 Shirodhara: The steady stream of ayurvedic oil selected as per your body requirement, on your forehead, completely relaxes and calms the mind, relieving stress and tension in the mind and body. The stream of oil stimulates the function of your pituitary gland and brings about a balance in the metabolic activities in your body that have been unbalanced due to the stress of daily life. This calming treatment also normalizes vital functions like breathing, heart rate, and blood pressure so that your whole body can return to a state of balance. Homeopathy is very individualistic. It deals with the each person's complaints called symptoms. Much before the blood tests show our body has a way of expressing discomfort. Based on these medicines are planned. Especially in stressful situations caused due to anxiety, depression, phobia and grief it has a very big role as these symptoms have specific and very effective medication. Aconitum Napellus: Sudden attacks of panic. Sudden onset of symptoms. Argentum Nitricum: Anticipation anxiety. Impulsive; wants to do things in a hurry. Hyperventilation. Calcarea Carbonica: Sadness with heavy feeling in limbs. Lycopodium Clavatum: Silent, melancholy and peevish. Distant music causes sadness. Natrum Muriaticum: Constant recurrence of unpleasant memories. Attempts at consolation cause weeping. Ignatia amara: Depression and weeping after a sudden grief. Mud Therapy: With a highly specialized herbal Ayurvedic mudpack, all your muscles are able to relax, inflammations and pains are reduced, and it gives your whole body a complete cooling effect. HydroBaths: Draws circulation away from localized areas feeling the pressure of stress, reduces inflammation and tightness and returns the circulation to important areas of the body. Yoga is advised for stress relief as it aims at the integration of mind, body and spirit. 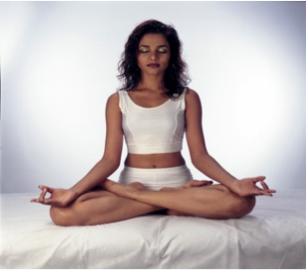 Asanas (physical postures) pranayama (breath control), dharana (concentration), dhyana (meditation) are the various yogic techniques which prevent and tackle stress. Pranayamas like sectional and full yogic breathing, nadishuddhi pranayama, bramari, ujjayi and kapalabhati are suggested. Simple meditation techniques like the breath awareness meditation and 'AUM' meditation could be practiced by beginners. A beneficial asana is the "Shavasana". For this one can lie down on the back, with their hands and legs kept away from the body, palms facing upwards, and toes outwards. The neck must be placed comfortably, either turned to a side or held straight. The body must be relaxed further, this can be done by focusing on the breathing. At this time, one must try to keep away any thoughts for coming to the mind, and just relax. Apart from yoga, walking too helps as a good stress buster. Brisk walking for 30 minutes twice a day with yogic practice for an hour daily is an excellent remedy for stress. All the above yogic techniques should be practiced only under proper guidance. Energy Balance Massage: Extremely relaxing massage done with slow gentle strokes along the entire body, that helps release trapped energy along the energy medians of the body. Special strokes are used to release the tightness in the body. Along with the appropriate aroma and music therapy, it relaxes the body, refreshes the mind and senses. Acupressure: A natural healing technique that uses applied pressure to relevant points of the body, releasing energy blockages and stimulating chemicals in the brain that boost the immune system, lift depression, and relieve stress. Reflexology: An Oriental healing technique used to relax the nerves and release trapped energy. This therapy often induces deep relaxation, resulting in vitalized energy and a balance of the system. Chop bananas, add 1/2 cup milk, blend in mixer till smooth. Whip till the milkshake is frothy. Note: One may add a tbsp. 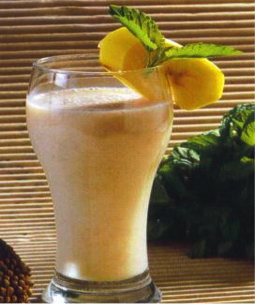 of finely chopped banana pieces at the bottom of each glass before pouring, if desired. Be your own masseuse, and massage herbal oil all over your body. It will leave you feeling fantastic, giving your body the much needed attention!! Come home with aching tired feet?? Not to worry, just soak them in hot water for 15mins and feel the difference! A warm shower in the evening, can be your everyday stress-buster. Nothing like a warm bath after a hard day at work!! And finally, just before bed have a glass of warm milk with honey. Feel Rejuvenated and de-stressed after this monsoon. Copyright © SOUKYA Indian Holistic Health Centre Pvt. Ltd. IMPORTANT: This SOUKYA newsletter is designed purely for informational purposes only. Tips and advice are purely suggestive and are not meant as a substitute for personalmedical attention, diagnosis, or hands-on treatment. We strongly advise you to contact us at info@soukya.com or consult your doctor before you implement any of the above information. We are not liable for any consequences that may arise out of the personal decision not to consult a doctor regarding any of this information.